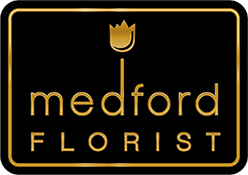 At 38 S. Main St., across the street from the area landmark Braddocks', we are a brick & mortar florist, delivering throughout the area. Visit us in picturesque, historic, Medford and follow us on facebook - Medford Florist, Medford NJ; Twitter - Medford Florist; Google - Medford Florist; Instagram - medfordflorist08055 - and either of our 2 websites, www.medfordflorist.com and www.medfordfloral.com .We look forward to meeting you. Sunday - By appointment. Please call 609-654-8338.